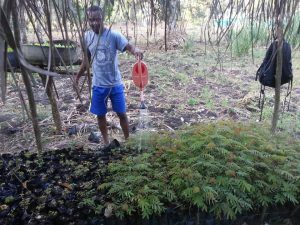 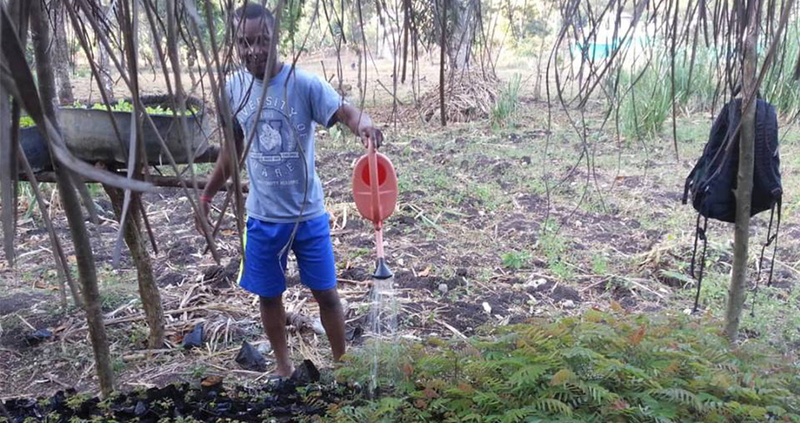 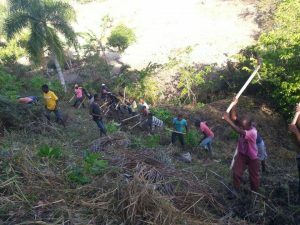 Secondary school students from the Baille Tourible school continue to take care of their nursery. Some seedlings, like papaya, are ready to be planted. 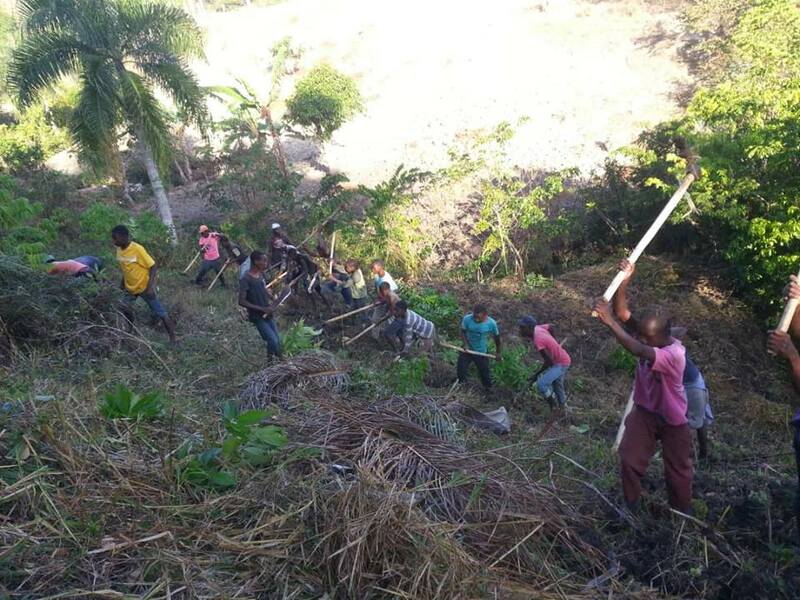 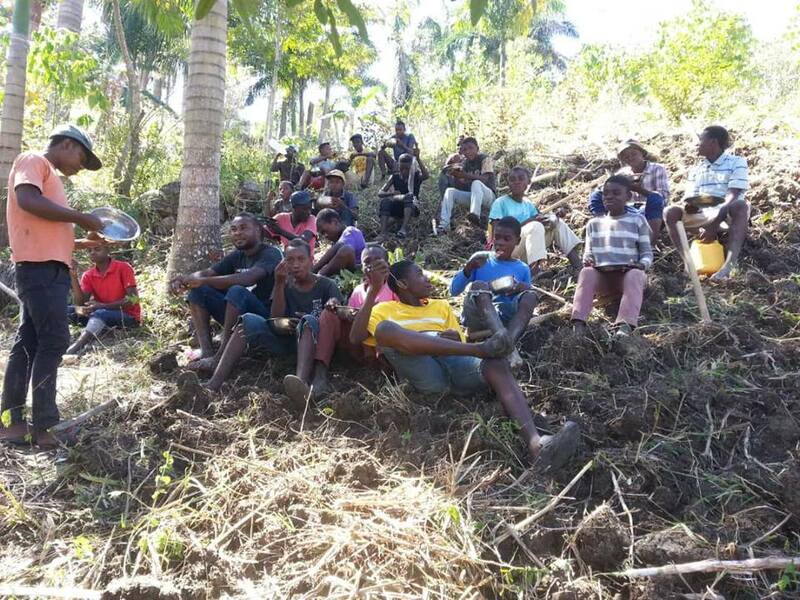 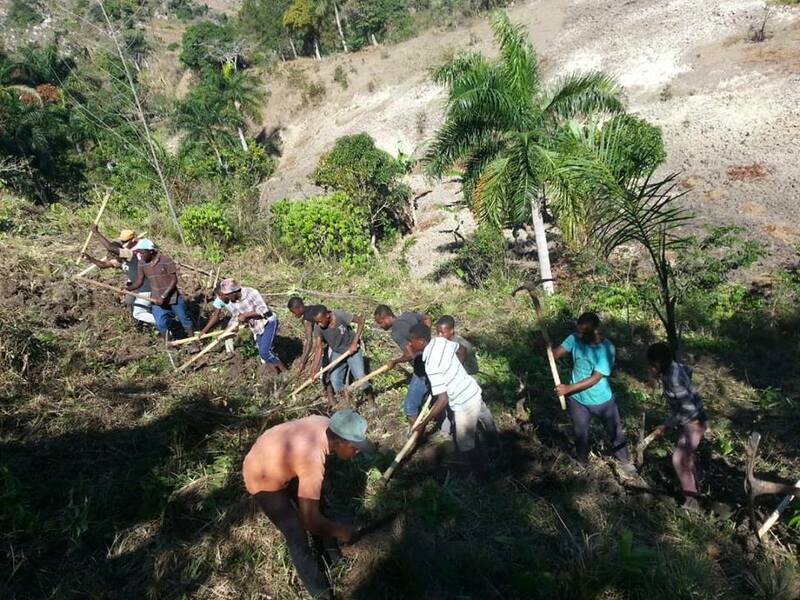 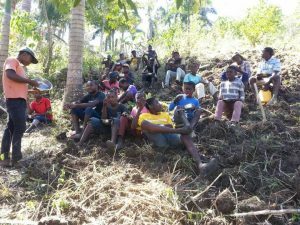 The young people of the marching band started to prepare the new ground they were given to plant bean seeds.